The ImpleMentAll consortium is made up of 18 partners from Europe and Australia. Below you can see a list of all the partners contributing to this project. Click on a partner to read more about them and find their contact information. Northumbria University (Finch, Rapley & Potthoff) is a research-rich, business-focused, professional university with a global reputation for academic quality. In the 2014 Research Excellence Framework research was judged to be “internationally excellent” or “world leading” in all disciplinary areas in which Northumbria submitted. The University overall was the biggest riser in the UK in terms of research. Academic staff working in the ImpleMentAll project are based in the Faculty of Health and Life Sciences, the largest of the four Faculties that make up Northumbria University. The Faculty comprises of five successful academic departments: Applied Sciences; Nursing, Midwifery and Health; Psychology; Social Work, Education and Community Wellbeing; and Sport, Exercise and Rehabilitation.. Our departments have built up an excellent reputation for research and consultancy activity and a portfolio of high quality undergraduate and postgraduate degrees. An exciting research culture thrives within the Faculty. The Faculty is also home to one of the University’s multidisciplinary research themes for addressing global societal challenges of the future; on Integrated health and social care. We deliver regional, national and international research projects, working collaboratively with many external organisations including the NHS and other government agencies and funding bodies, multinational companies, community groups, regional agencies and small and medium enterprises (SMEs). The University also has substantial experience as partner or coordinator in international funded research projects, including over 30 projects from the European Commission Programmes from Framework Programme 5 to Horizon 2020, as well as a further 30 projects from other EC funding sources. The University of Southampton is one of the UKs leading research universities, and the Faculty of Health Sciences is internationally acknowledged for world-leading applied health research that leads to real improvements health care. There are four faculty research groups: Active Living and Rehabilitation; Complex Healthcare Processes; Fundamental care and Patient Safety; and Health Care Systems. The Faculty’s current five year portfolio of externally funded research is in excess of £35m. Research expertise spans theory-building and application, quantitative and qualitative methods, systematic reviewing and evidence synthesis, clinical trial and cohort studies. Catherine is Professor of Medical Sociology in the Faculty of Health Sciences, University of Southampton. Her research focuses on the organisation and delivery of health care and this has included looking at the use of digital technologies in health care. She is also a member of the Web Science Institute and interested in how Web technologies shape and are shaped by patients, health professionals and publics. Kate Lyle is a Research Fellow in the Faculty of Health Sciences, University of Southampton. Kate’s background is in sociology and her research focuses on exploring the implementation of technological and service innovations within the healthcare sector. Drawing largely on theories and perspectives from the field Science and Technology Studies, Kate’s work seeks to find practical applications for theoretical work to make a meaningful difference to user settings. She has expertise in qualitative research methods and interdisciplinary research approaches. Sebastian Potthoff is a Research Assistant at Faculty of Health & Life Sciences, Northumbria University. Sebastian’s background is in Health Psychology and for his PhD he was awarded a Health Foundation Improvement Science Fellowship. 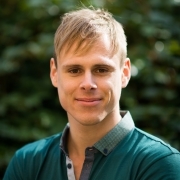 As part of his PhD Sebastian applied theories from health psychology and behavioural medicine to develop and evaluate interventions that support healthcare professionals with changing their clinical behaviours (e.g. prescribing, advising and examining). Sebastian has expertise in qualitative and quantitative research methods, and conducting narrative and systematic reviews including meta-analyses. Tim is Professor of Applied Healthcare Research at Faculty of Health & Life Sciences, Northumbria University. His work has a particular focus on detailed empirical studies of medical practice and research. He conducts research into the development, implementation and evaluation of complex interventions in a wide range of clinical contexts. Tracy is Professor of Healthcare & Implementation Science, in the Faculty of Health & Life Sciences. She leads a programme of research on understanding the implementation of innovations in healthcare practice, consisting of several UK National Institute of Health Research and Research Council funded projects, which include theory-based instrument development, intervention development, and process evaluation of clinical trials and other service development interventions. As co-developer of Normalisation Process Theory (May & Finch 2009), her work has a strong theoretical underpinning but reflects over 18 years' experience of empirical study of the implementation of technologies such as telemedicine, telehealth, telecare and e-health, with expertise in both qualitative and mixed methods research. Key recent projects include the ESRC study ‘Improving the normalisation of complex interventions: Developing quantitative measures for users based on Normalisation Process Theory’, which developed and validated the NoMAD tool for assessing and monitoring factors that affect the implementation of complex interventions in healthcare (http://www.normalizationprocess.org/).